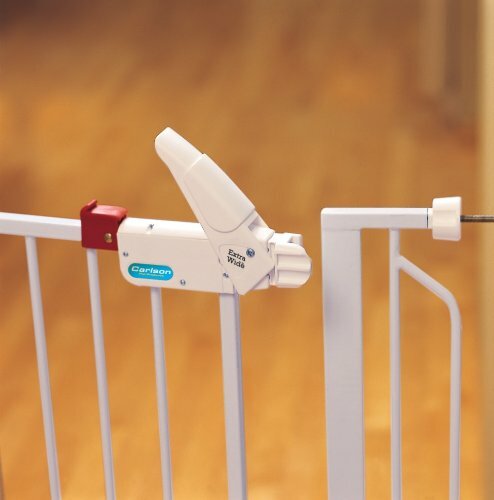 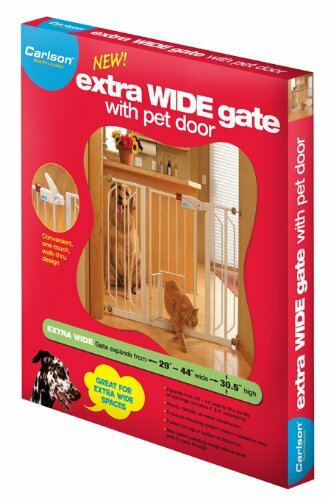 An essential tool for homes with pets, the Carlson Extra-Wide Walk-Through Pet Gate is a convenient, chew-proof way to contain and protect both your pet and home. 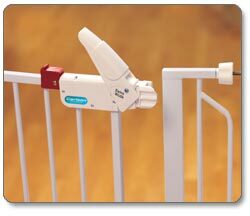 Made of steel, the safety gate is designed with a pressure-mount system for easy installation and is ideal for extra-wide openings. 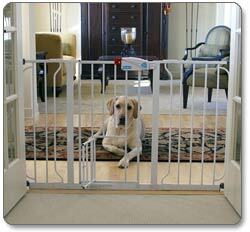 This portable gate includes two extensions, giving you the option of covering openings in your house ranging from 29 to 44 inches. 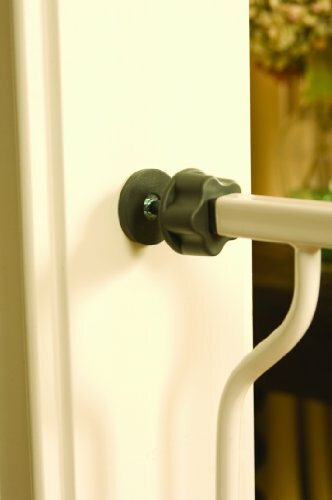 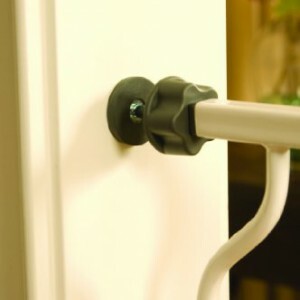 The walk-through design features a one-touch Â release handle so you can easily pass through even while carrying things. 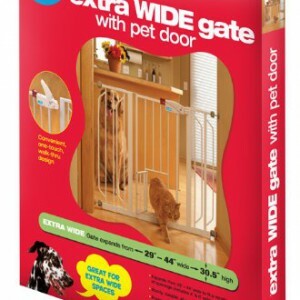 A 10-by-7-inch pet door lets small animals pass through while everyone else stays put.